Bay Area Pet Spa is your dog's home away from home! Whether you are away for business or pleasure, we will provide for your pet's needs as if they were our own. 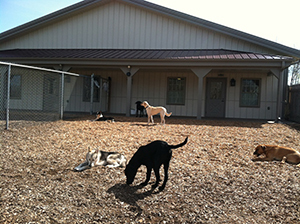 Your canine friends will enjoy our climate controlled kennel area, complete with in floor heat and clean cushy bedding. 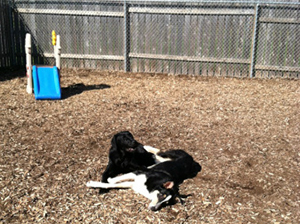 We also have a large fenced in yard for some outdoor play time throughout the day. If your dog has a favorite blanket or toy, please feel free to bring it along. We ask you only bring machine washable bedding along. Please see our Pricing page for more information on costs. We have three different size kennels to meet your pets needs. "Finn" in a 3X6 kennel. "Maggie" in a 4X6 kennel. Our kitty condos are completely separate from the canine world. Your cat can enjoy cuddle time on a lap, or relax on the window sill while watching Mother Nature. Go ahead and bring kitty's favorite blanket and toy to cuddle up with! Designed with your pet's comfort, health, and safety in mind, we provide everything: timely meals, medication, recreation, grooming, and quality time with our caring staff. Another thing that sets us apart from other boarding facilities is the availability at a moment's notice to our caring and skilled veterinary staff. We never forget that every pet is an individual. Your pet has special needs? Just ask! We'll do everything we can to accommodate those needs, and we're always looking for new ideas to keep the pets in our care happy! Your pet's vaccinations must be up to date and be on record with Bay Area Pet Spa. 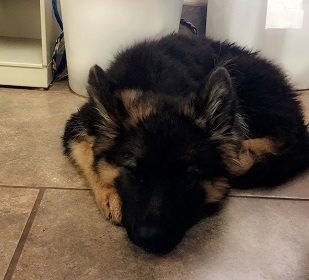 If your pet normally visits Bay Area Animal Hospital for vaccines and everything is up to date, you're set! If your pet receives their vaccines from another veterinarian, please bring a copy of their record for our file. After the necessary forms have been filled out, our staff welcomes your pet into our canine boarding area or kitty condos. If you have never visited our facility before, you are welcome to tuck them in and give one more kiss on the nose before you leave, knowing they will be comfortable and safe in our care.